Do you desire to lose weight or gain muscles to improve your physique? Or you just want to keep the record of your daily intakes? There are many effective ways to do these important jobs. You can try some online health maintaining programs as well as some companies are providing calories tracking systems in the form of different applications and software. On the other hand, you can use apps on your mobiles to keep the record of your intakes. 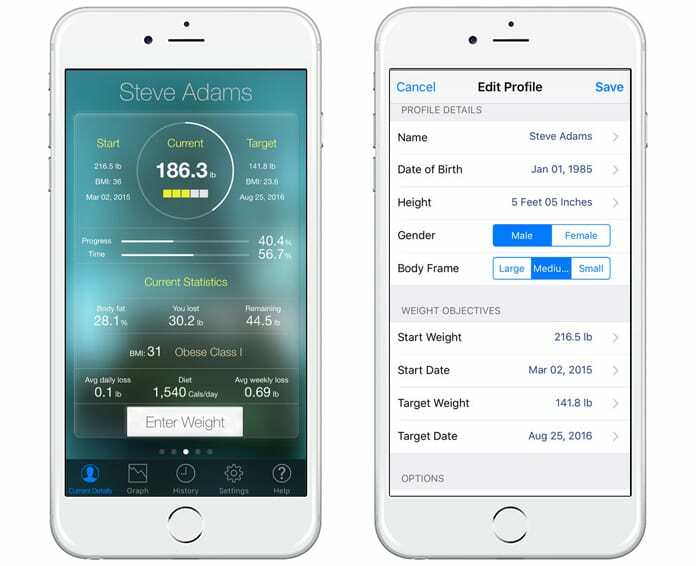 In this post, we will show you the best weight tracker apps for iPhone and iPad, and the good thing is that they are free to download. 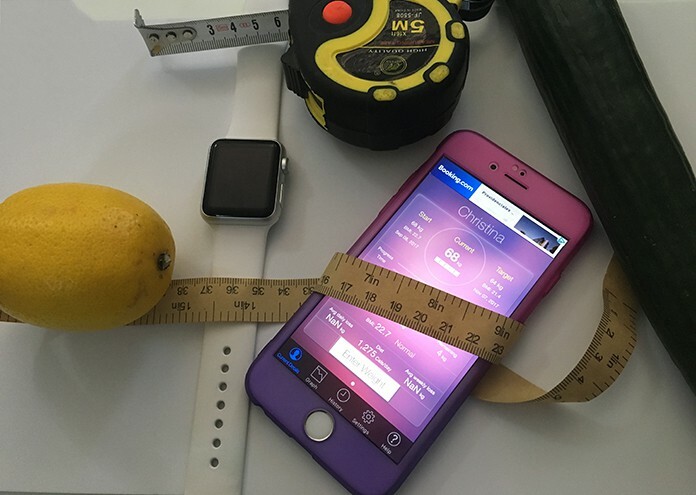 You can see plenty of apps for iPhone, Apple Watch and iPad that can help in weight tracking and maintain proper calories intake. 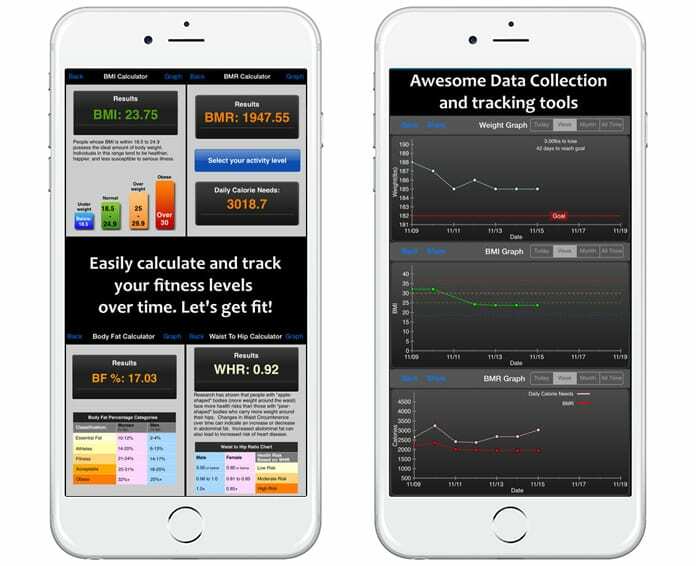 So, if you are weight conscious and really want to track your weight and muscles improvements, you need a perfect app for this purpose. Below, we will discuss some weight tracker apps for iPhone and iPad that you can download from the App Store. 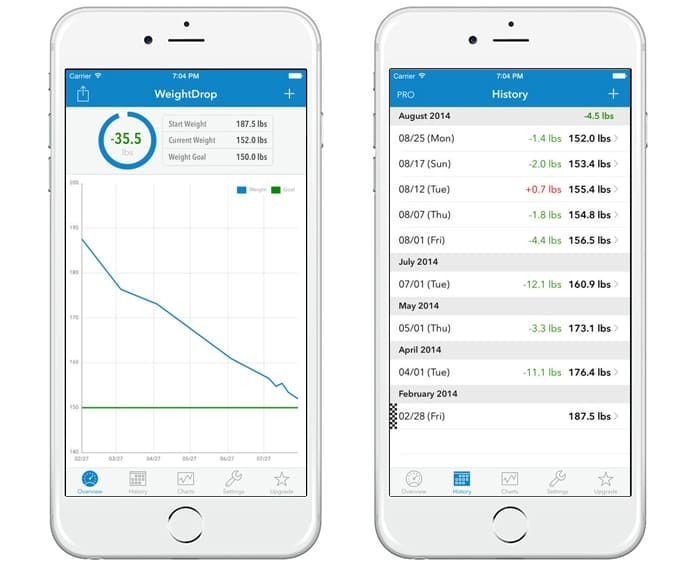 WeightDrop is an amazing app that provides you with the current record of your weight as well as your past records. The method in which this app work is very smart. You can make a profile including some information about you like your age your height, and this app will tell what the ideal weight is for you. You can track your weight on a daily basis. You can also see the latest weight trends over the internet. If you have a goal in your mind regarding your weight and health, you can set it in WeightDrop. Then this app will help you to achieve your goal. You can download this app from App Store for free. This app also works on the weight recommendations system. You can add a profile in the app, and it will recommend the ideal weight according to your height, age and fitness. You can also set your goals in this app which will help you to take an eye on your progress on a daily basis. Monitor Your Weight will also track your daily intakes as well as you are gained or lost weight. In this way, you will be able to have better improvements in your weight and fitness. This app is free, compatible with iPhone, iPad, and iPod touch and offers Apple Watch app for iPhone. Download this app from App Store. Weight Watchers is a very useful app that helps you to keep the record of your weight and your daily intakes. If you want to set a strict plan in your life, you can use this application. You will be informed about your daily intakes every day. You will just have to put your meal name in the app, and it will tell you how much you are eating right now. It will also tell you how much you have taken today so far and how much intakes are remaining. Get this app for free. If you want to get to your goal weight faster you have to use My Diet Diary app. 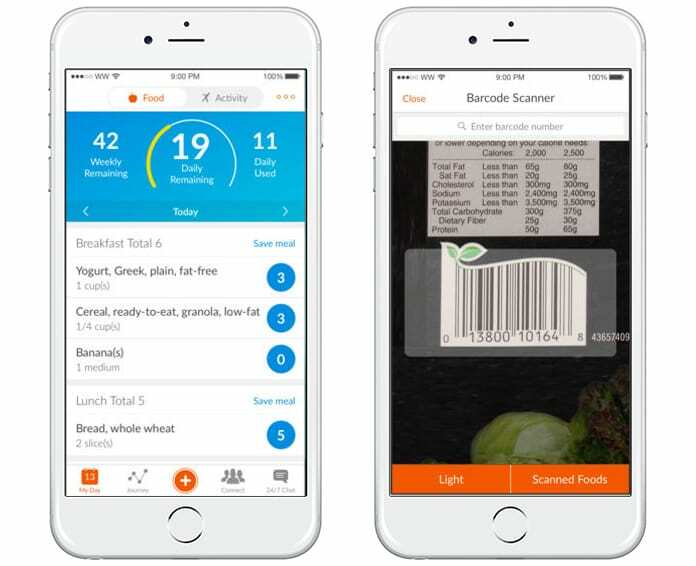 With this app, you can track your food, weight, exercise or nutrition. It doesn’t matter if you are on track to lose weight, gain weight, or maintain weight, you will certainly achieve your goal because millions of users have done it. 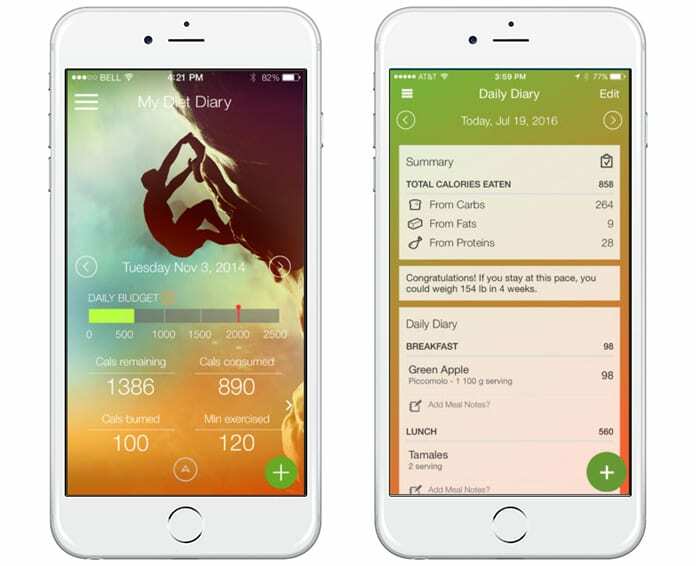 With My Diet Diary, you can customize goals and you also have a calorie counter. You can also set reminders and notifications for meals, exercises, fitness and whenever you write your meal in your diary it will automatically calculate your calorie consumption. This app is compatible with iPhone, iPad, and iPod touch and you can download it for free. Fitter Fitness Calculator allows you to enter your weight daily and with this app, you may also select a weight goal that you would like to reach. Fitter Fitness Calculator has its own graph that will track your daily inputs and it will show you your progress as you try to achieve your weight goal. This app measures your BMI (Body Mass Index), BMR (Basal Metabolic Rate), Body Fat Percentage Calculator and this app also contain a Waist to Hip Ratio Calculator which teach you to understand why your body shape is more important to your overall health. You can download this app directly on your device using this link. These apps are free to install and you just simply have to put the name in the App Store to find them. So if you are seeing for the best weight tracker apps for iPhone or iPad, you can install from one of the mentioned above. These apps will help you a lot while achieving your goals.